Light is a type of electromagnetic radiation visible to the human eye. It is made out of little packets called photons. Photons behave like particles in some ways and like waves in other ways. If you shine a beam of light at a mirror, for example, it bounces off of it just like a ball would. If you shine light through a narrow slit, however, the light fans out like a wave would. It appears that light is neither a wave nor a particle, but something unusual with characteristics of both. One of the wave-like properties of light is frequency. The frequency is how fast a photon of light vibrates. 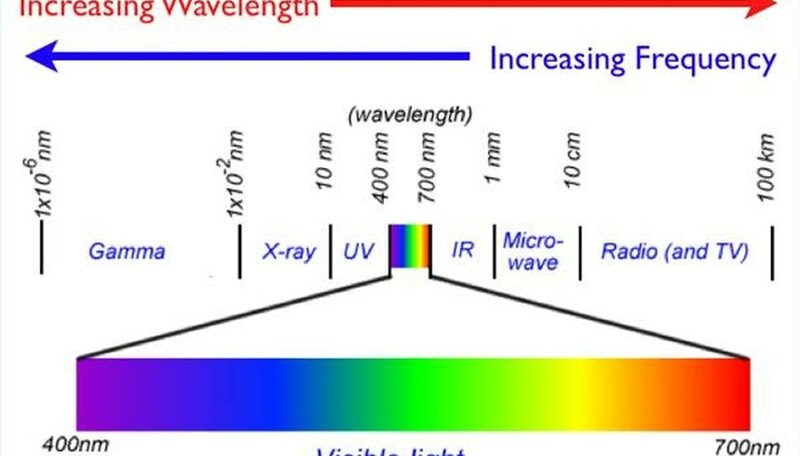 The frequency determines the color; high frequency light is violet in color, whereas lower frequency light is red. Frequency is inversely proportionate to wavelength--the higher the frequency, the shorter the waves. Radio waves, gamma waves and other electromagnetic waves work in much the same way that light does, but they have frequencies too high or low for the eye to see. Although light can travel through a vacuum, it can not travel through all objects. When light strikes an object, it can be transmitted, reflected or absorbed. The object is made of molecules, and each molecule has electrons, capable of jumping to higher energy levels by absorbing energy. A light packet has a certain amount of energy in it according to its frequency-- the higher the frequency, the more energy. If this energy corresponds to one of the electron energy levels, the electron will absorb it and re-emit it as heat. Transparent materials, however, do not absorb the energy of the photon. Since the photon is not absorbed, it is able to pass straight through. 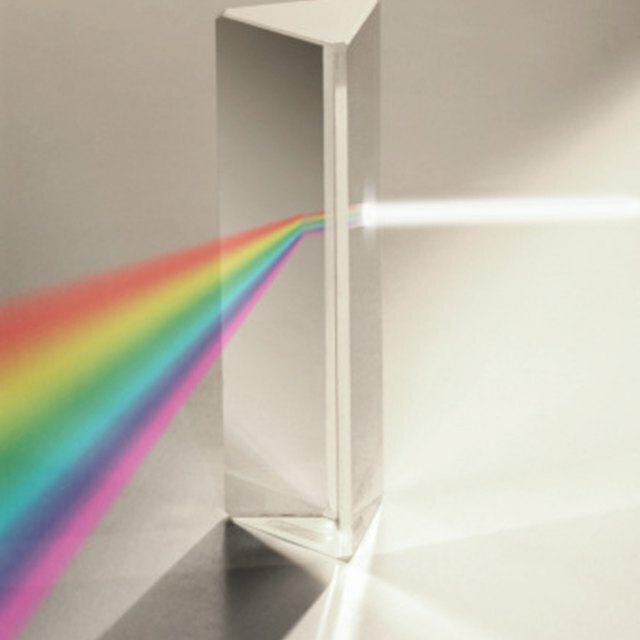 Some materials are partially transparent, absorbing some photons and transmitting others. This will make the material look tinted, since it only passes certain colors of light. David, Isaiah. "How is Light Transmitted?" Sciencing, https://sciencing.com/light-transmitted-5127127.html. 24 April 2017.